Aeroflot-Finance (a fully-owned subsidiary of Aeroflot) has completed the sale of 53.7 million ordinary registered shares of Aeroflot, the airline said. Shares were sold at a price of 182 rubles ($3.1) per share. The net proceeds of Aeroflot-Finance from the sale will be approximately 9.8 billion ruples ($169 million). The proceeds from the sale will be used by Aeroflot for general corporate purposes, the report says. “The shares being sold constitute 4.84% of the issued ordinary shares of Aeroflot. After the implementation of the offer, the company’s shares in free circulation is 45.8%; capitalization of shares in free circulation – $1.583 billion at a closing price of 190 rubles as of September 19, 2017. 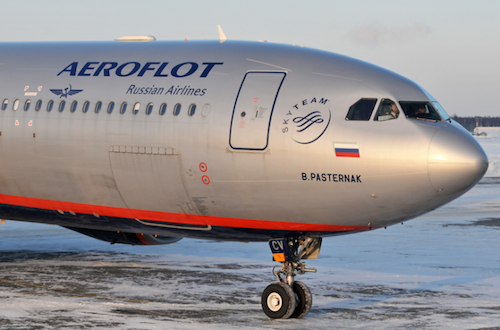 After the sale, the seller will no longer hold shares in Aeroflot,” the company’s statement says. The closing of the sale is expected to occur following the T+2 principle on September 22, 2017. Goldman Sachs International and JP Morgan Securities act as joint international coordinators and organizers of the order books.